Who doesn't love to ride roller coasters or bowl strikes (or try) in VR? But guess what: You can learn something too. GearBrain culled through a number of VR educational apps, bypassing some with bugs and others we just couldn't get to work, to pick what we think are both the best on the market today. 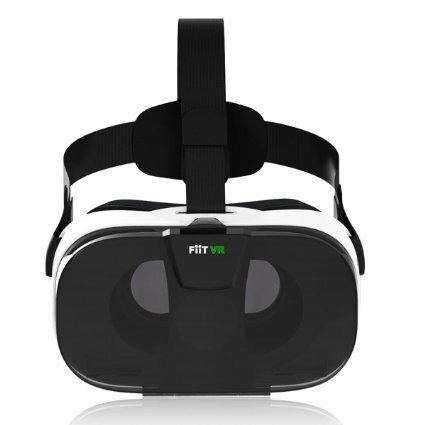 These seven will work with your Gear VR headset or the cheaper Google Cardboard devices. If you're a teacher—or a parent hoping to peel your kids away from roller coasters and zombies—you should also take a look at our pick of VR travel apps and video apps, which are certainly educational. Both Discovery VR and the NYT VR apps are solid resources too. Kids already love Minecraft—so there's no reason to tell them it's educational. The game requires an external gamepad, and figuring the controls can be tricky at first. In addition, the game allows free in-world movement, which can cause motion sickness. Step foot into King Tutankhamun's tomb with Discovr Egypt, the way the it may have looked when the young royal had first died. This wonderfully designed app takes you on a tour of King Tut's Tomb. Navigation is click-to-teleport, so there's no walking around to cause motion sickness. (A relief.) The app designers have picked good viewpoints for all the exhibits. Each item also has an information button which launches an audio explanation. The apps brings excellent graphics, plus there's a treasure hunt game option that's sure to be a hit with children. EON offers multiple educational apps along with lesson plans for teachers. Free for Google Cardboard headsets with Android and iOS. A portal to more than 200 gamified educational experiences, this site is owned by EON Reality Inc., and can be viewed in both virtual reality and augmented reality formats. For educators, there is also a built-in tool to create and manage lessons—which is half the battle for teachers who want to figure out how to stitch these tools into the school day. To see the imagery in augmented reality, you need a headset that allows the smartphone's rear camera to see out. EON also has a number of other educational offerings in both app stores, including Nefertiti VR, King Tut VR, EON AR Solar System, Magi Chapel VR, plus more. Cleanopolis lets you turn climate change lectures into fun and games. No, really. Free for Google Cardboard headsets for Android and iOS. Looking to weave some fun into a lesson on climate change? Cleanopolis is a very well-designed, fun application with mini-games, quizzes about ecology, and an animated lesson video. Look-to-activate controls means this game doesn't require buttons or controllers, but in-world movement can cause motion sickness. The app can be played in both VR and non-VR touch-screen mode. Built for high school and college students, VR Chemistry is a unique way to bring the elements into virtual reality. 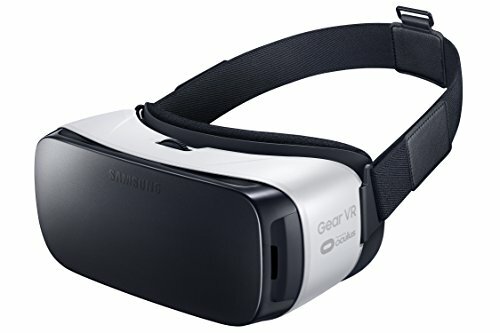 Free for Google Cardboard headsets for Android. Chemistry lectures with 3D models makes this app easily appropriate for students of AP Chemistry, or those enrolled in introductory college chemistry classes. Current topics include mass spectrometry and and mass number, with lessons on DNA and organic chemistry listed as "coming soon." The app does require a control button to work. Another chemistry-related app? The puzzle game Chemistry VR, where users assemble molecules, and is free for Android. Molecule VR is another solid science-based VR app that shows 3D visualizations of protein molecules related to cell communication. The app also has a simple look-to-activate interface, and is also free for Android. Blue Whale lets you count the bones on thee mammal as you watch the creature swim in the ocean. A narrated, immersive lesson about the biology of the blue whale, considered animal on earth. The app works like a pair of x-ray specs, presenting details from bone structure to blubber. Ocean Rift still remains one of the top Gear VR apps, and an educational one as well. We know we've reviewed Ocean Rift before. But the app is still one of the best ways to explore a handful of underwater environments in virtual reality, plus get a close-up look at undersea creatures from dolphins to tropical fish, sea turtles, whales and even sharks. In-world motion can cause motion sickness. Some additional undersea environments require the purchase of the premium version.